Rose and Her Lily: Lily's 4th Birthday Celebration! When I woke up on her birthday, I didn't feel as sad as I have on past birthdays. I had so much to do and a day full of plans, which really helped. 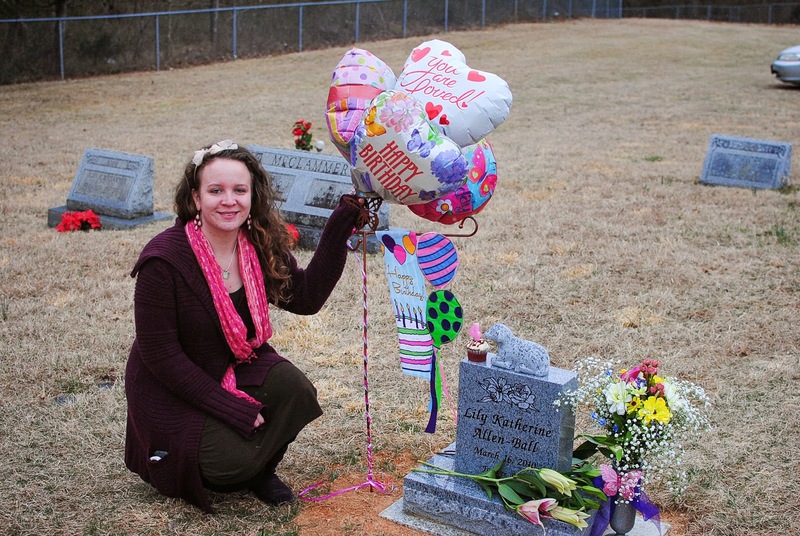 It was the first year on March 16 since Lily was born that I was able to be at her special spot. It was healing to spend time there on her sacred day and decorate it myself, rather than having a friend do it for me. 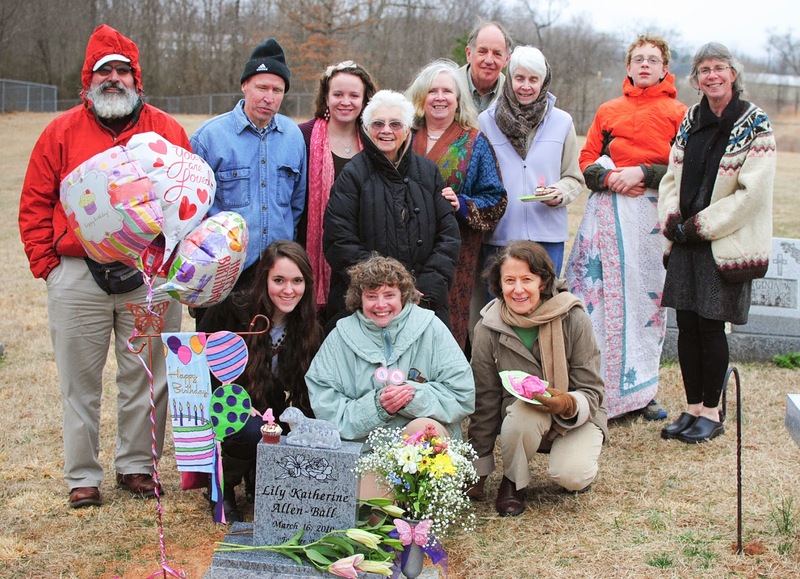 And it was the first year her permanent stone was at her spot on her birthday, so it was extra special to be there to decorate it. I decorated with the flag stand and "happy birthday" flag that I got last year. I may leave the flag stand there and change it out for different seasons and holidays. 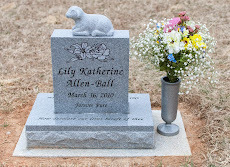 I would also like to get one for Lily's memorial garden at my house. The four balloons that I got all looked so pretty together! 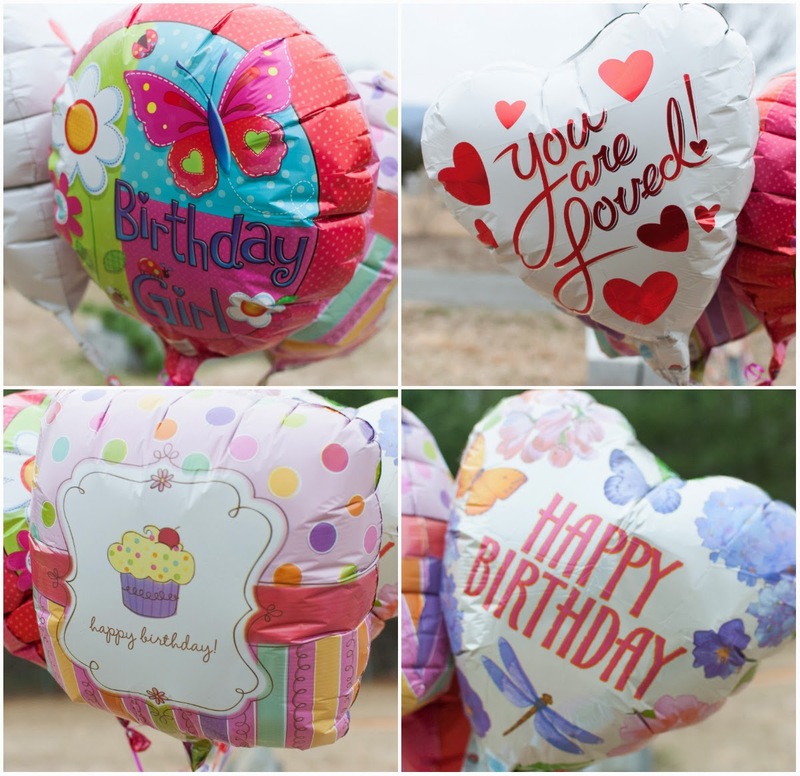 The balloon on top left (in picture below) says "birthday girl" and has flowers and a butterfly on it, which both remind me of Lily (I got the same balloon for Lily's 3rd birthday). The one on top right says "you are loved!" 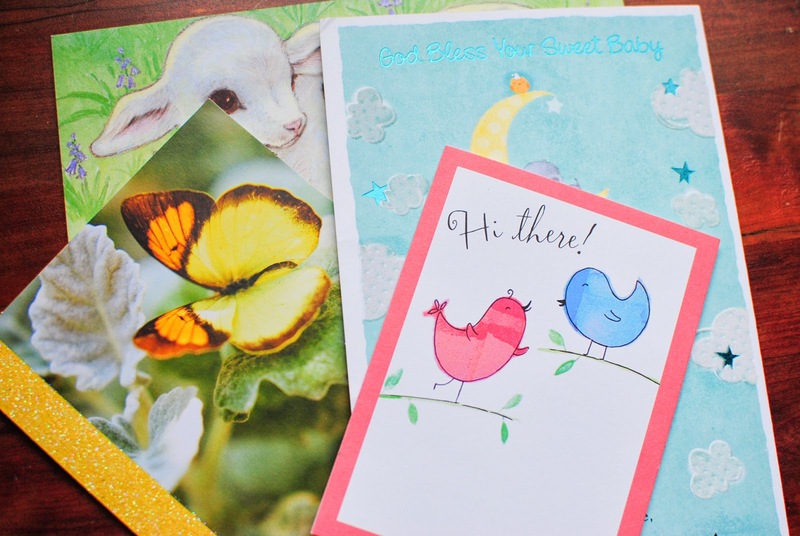 with hearts and is in the shape of a heart, which is perfect because heats remind me of Lily and my Valentine's-themed baby shower. And Lily is so, so loved so it is perfect. The bottom left says "happy birthday!" and has colorful stripes and polka-dots and a cupcake on it, which was nice because we had cupcakes for Lily's birthday this year. 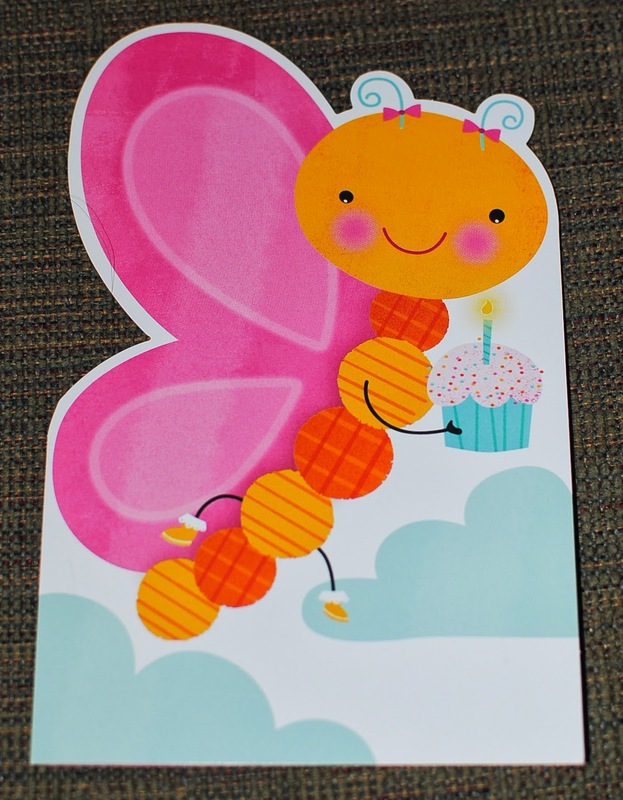 The one on the bottom right says "happy birthday" and is in the shape of a heart as well and has butterflies, a dragonfly, and flowers (including a lily!) on it. I wanted to have fresh flowers at Lily's spot, but because the weather is still cold, I knew the flowers would freeze that very night. And because I live in a different state and cannot decorate Lily's stone or take her flowers as often as I'd like, I decided to get some flowers that will last through spring and still look pretty. I have never been a big fan of fake flowers, however I knew that was my only option for lasting flowers. I was pleasantly surprised by how real fake flowers are made to look these days. My grandmother and I went to Michael's the day before Lily's birthday and found some beautiful flowers to make a spring bouquet. 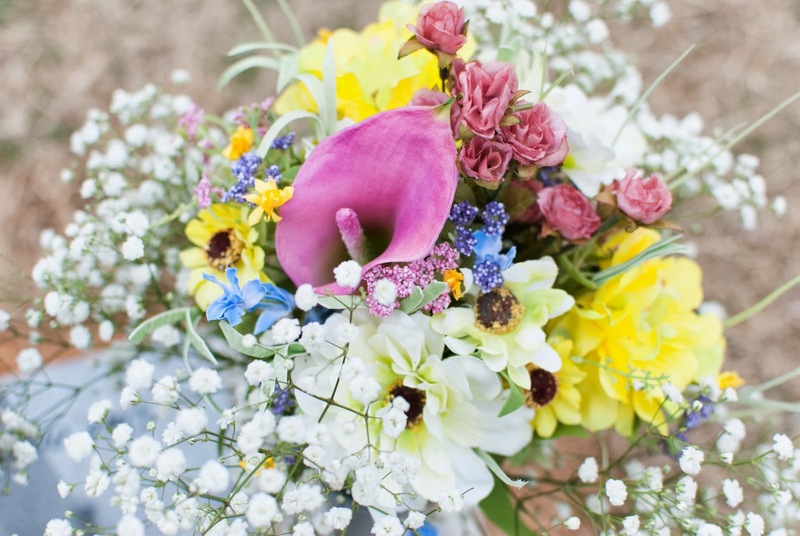 I of course had to include roses and a lily, which I put in the center of the bouquet. 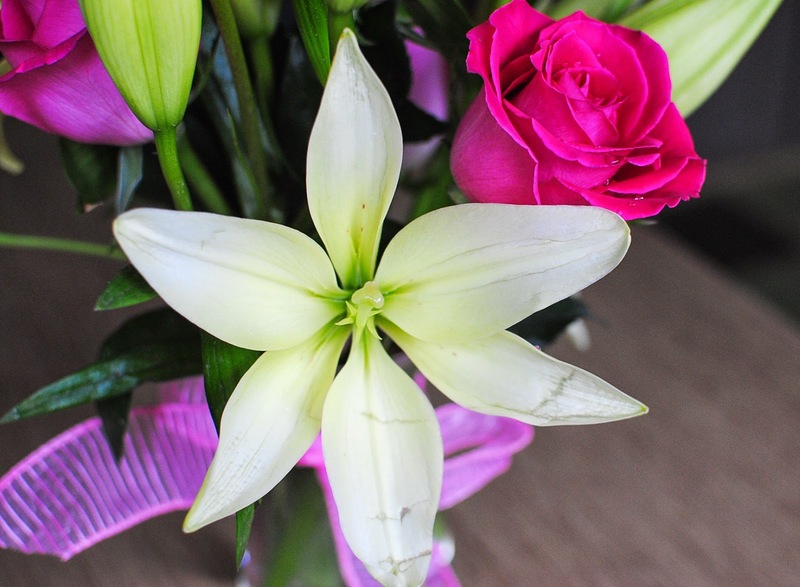 My plan was to get more fresh roses and lilies on the morning of Lily's birthday, but I couldn't find any. So, I got baby's breath to put around the outside of the bouquet. That way she can at least have some fresh flowers (and baby's breath will last a little longer). And baby's breath is just so sweet and perfect for a baby, both in name and how it looks. White for my pure, innocent girl. 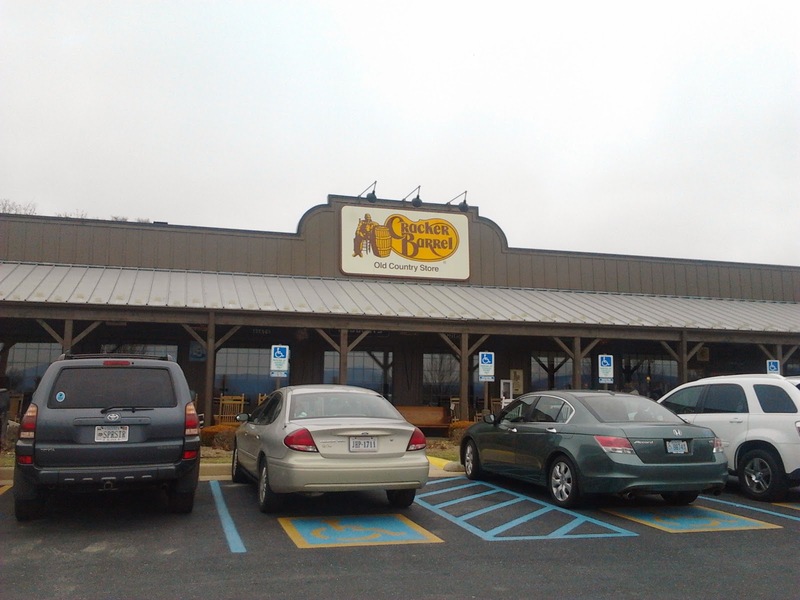 Each year on Lily's birthday, we have a tradition of eating at my favorite restaurant, Cracker Barrel. We have now done this for her 1st, 2nd, 3rd, and 4th birthdays. This year, my grandmother treated everyone to lunch there, which was so generous of her! I had to get hashbrowns for my little Spud and so did my grandmother. :) There were thirteen of us total that had lunch together, both friends and family - it was me, my mom, my dad, my grandmother, Aunt Helen, cousin Hope, Aunt Nana, Aunt Sarah, Uncle Steve, friends Marilyn and her daughter Jewel, Aunt Ellie, and cousin Thomas. 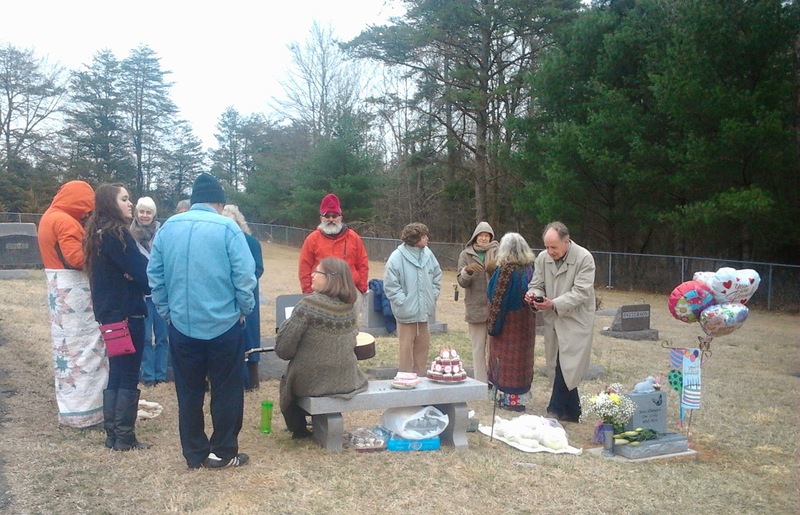 After having lunch in Waynesboro, we all drove over the mountain to the Hillsboro Cemetery in Crozet where Lily's special spot is. I decorated Lily's spot beforehand so that it would be ready for the celebration. 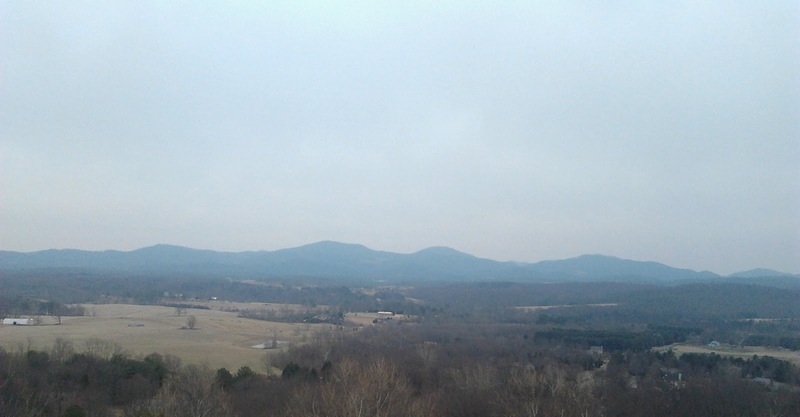 On the way over the mountain, my grandmother and I stopped at one of the overlooks so I could take a moment to look at the beautiful Blue Ridge Mountains. Even though it was such a cloudy day, it was still so beautiful. 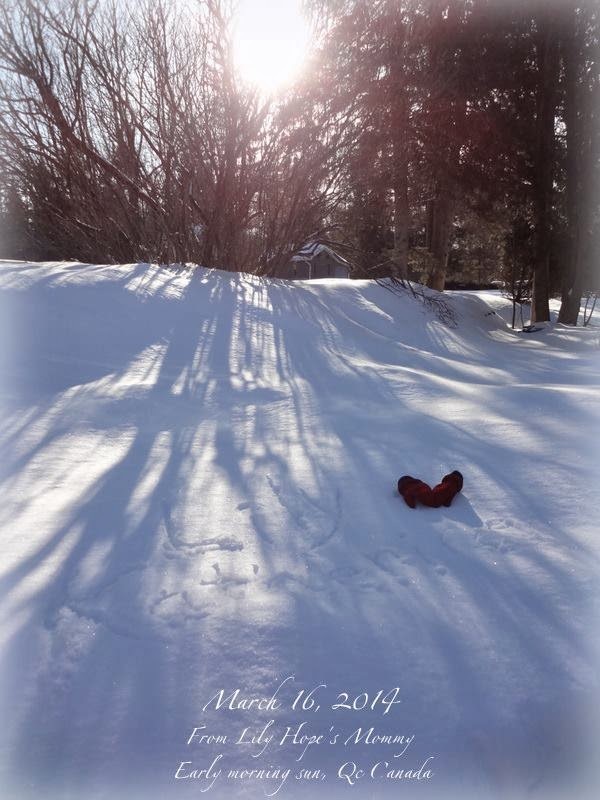 I was able to reflect on March 16 for a moment. I wish I could have stayed longer, but everyone would be waiting at the cemetery. My grandmother's friend Marilyn, who is so incredibly kind, played her guitar and sang two songs for Lily's celebration. My Uncle Steve and Aunt Sarah are also friends with her. 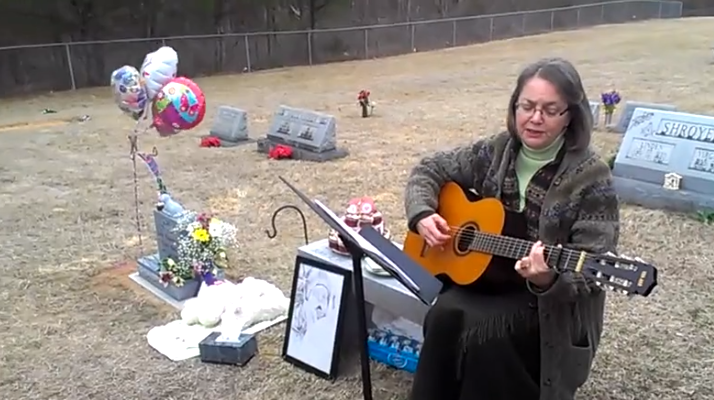 After Lily's stone placement ceremony last November (when I had played the song "Beauty Will Rise" by Steven Curtis Chapman), somehow Steve was talking with Marilyn about the song and because he knows she is an amazing musician he asked if she could play the song at the cemetery on Lily's birthday. When Steve told me this around New Years, that is when I just knew that I had to make it up to VA this year on her special day. Marilyn worked on the song for several weeks (which was really tricky to learn). Marilyn sat on my grandparent's and Aunt Rachel's memorial bench. The bench is so beautiful, unique, and it's nice to sit there when visiting the cemetery and thinking of family who has gone before us to Heaven. 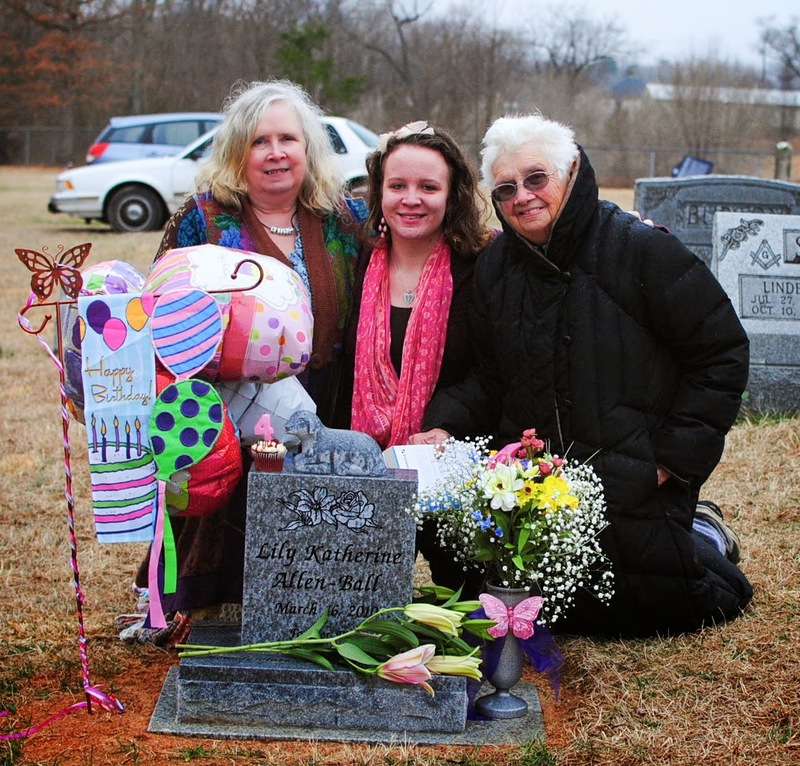 At the cemetery, we started off our time together with Marilyn singing a precious lullaby that I had never heard before, but she asked if she could sing. 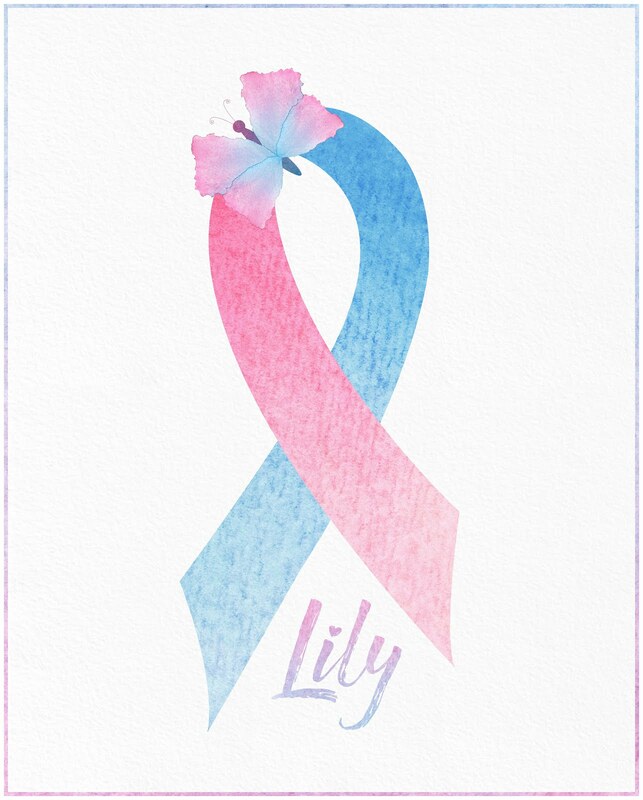 It is so beautiful and perfect for Lily. The words and Marilyn's beautiful voice make me cry. And give you My rest." After Marilyn sang her last song, I was able to share a very special song. My incredibly thoughtful and caring friend Heather gave me the most precious and priceless gift for Lily's birthday. 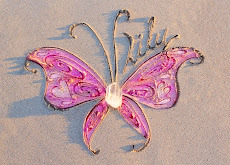 She wrote me a song in honor and remembrance of Lily and her brief but beautiful LIFE on this Earth. You can read more about this song by clicking HERE. Here is the lovely lyrics page she created. And here is a song for "Sweet Lily." 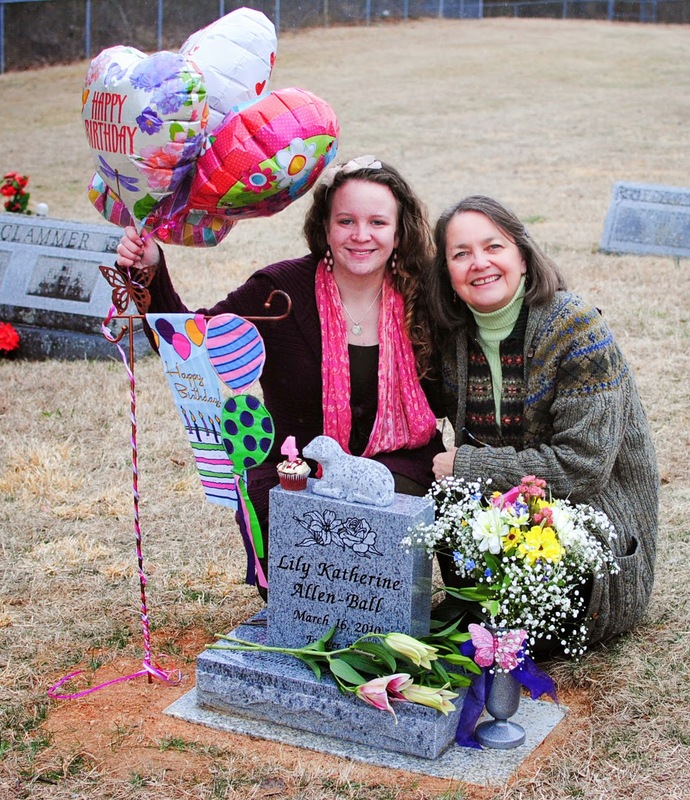 I first heard the song the morning of Lily's birthday and knew I had to share it at her celebration that afternoon. My dad picked up some blank CD's and I put it on CD to play at the service. Everyone was so touched by it. A family friend said it sounds like it should be on the radio! After she shared, we lit Lily's number "4" sparkly pink candle on her very own red-velvet cupcake and sang her "happy birthday." My dad lit the candle many times and the wind kept blowing it out, so we had to shelter it with our hands. After we sang Lily "happy birthday," we enjoyed red-velvet cupcakes with adorable cupcake toppers in her honor. 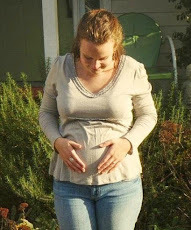 As most of the readers of this blog probably know already, red-velvet is a tradition each year on Lily's birthdays because I had red-velvet cake at my Valentine's baby shower. I ordered the cupcake toppers on Etsy. The lady who made them made them herself and shipped them the next day so that they would arrive in time for Lily's birthday, which was very kind of her. 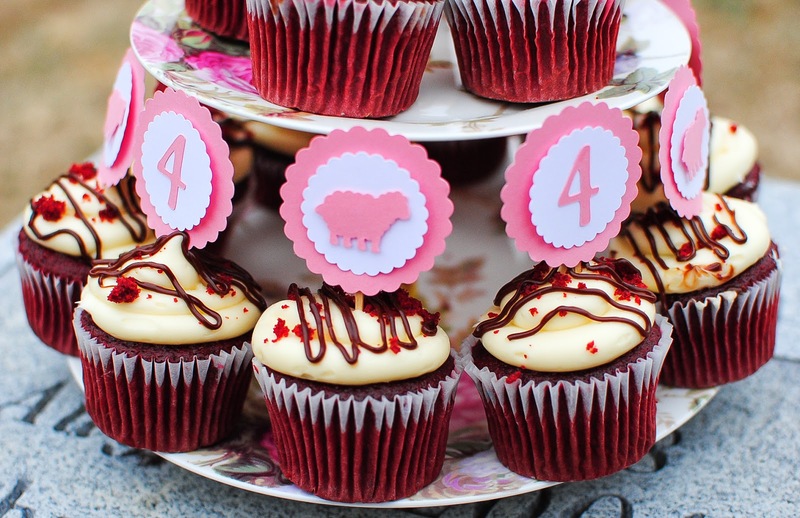 She made half of them with the number "4" on top for Lily's 4th birthday and the other half with a little lamb on top. 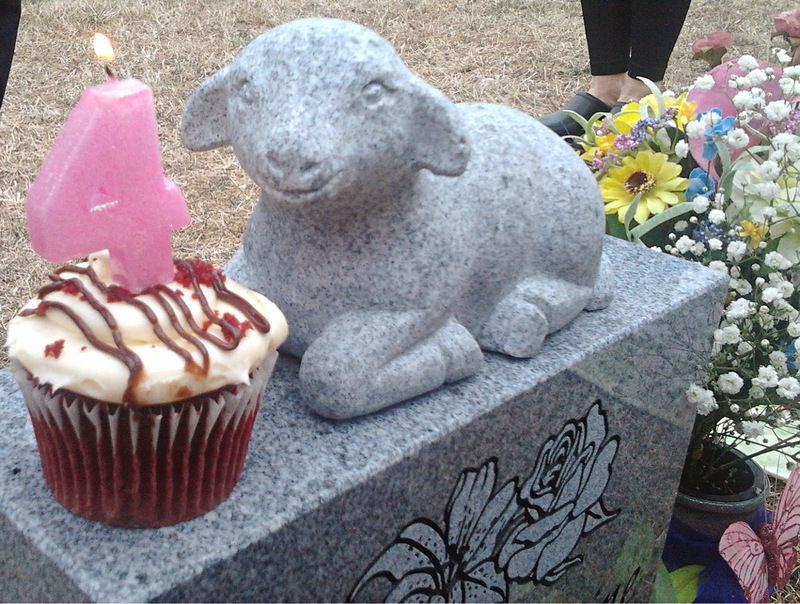 Lambs remind me of Lily (especially now because Lily's stone has a lamb on top and since this was the first year that Lily's stone was there on her birthday, I wanted to incorporate lambs). The lady made the cupcake toppers a little different than they are sold so that they would all match. I love the pink and white colors that remind me of my girl. The toppers were so adorable! I am saving a couple for Lily's memory chest. 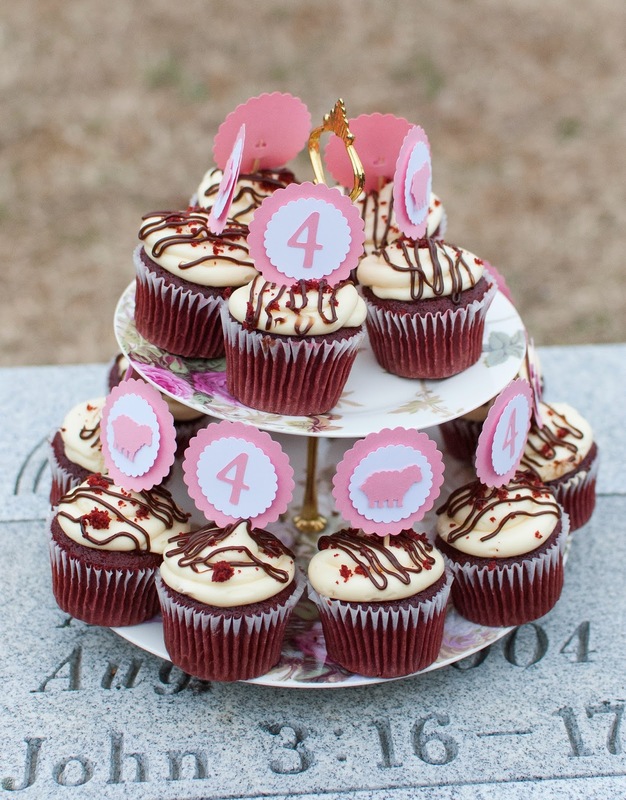 I had considered ordering a custom cake or perhaps cupcakes with a design, however I found that this was a simple and inexpensive option, yet still really cute. It would have been too messy to try cutting the cake at the cemetery for all the people there. I used my mom's lovely cupcake stand to display the cupcakes at the celebration. 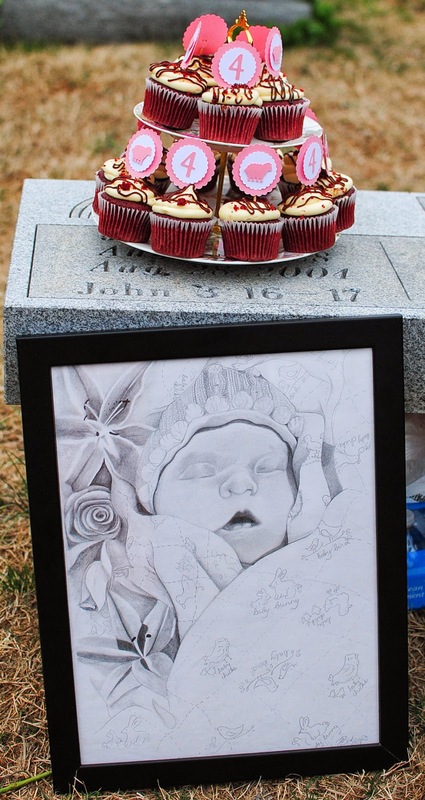 Lily's cupcakes were set up on my grandparent's and Aunt Rachel's memorial bench. 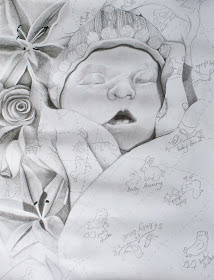 I had her gorgeous portrait from Eternal Hope Memorial Portraits on display for everyone to see and enjoy. 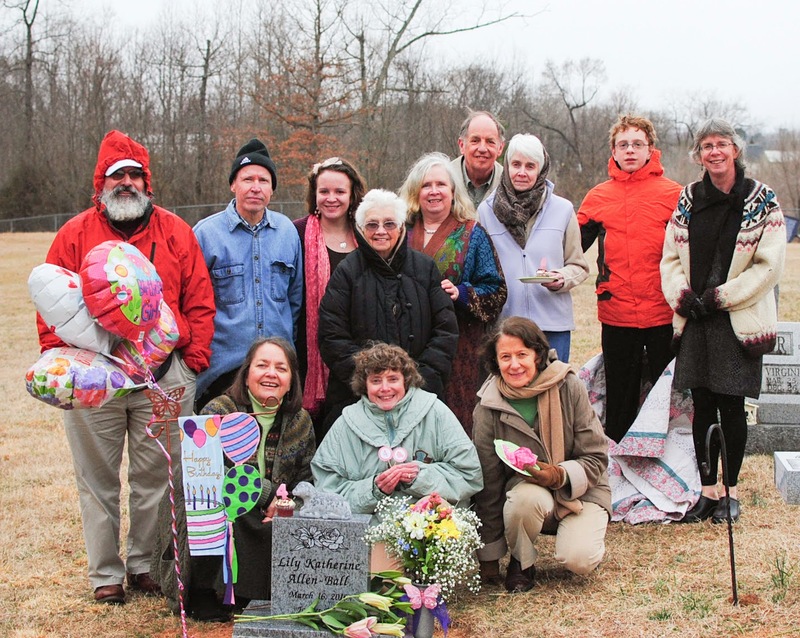 Here is the group of family and friends at Lily's birthday celebration - my Uncle Steve and Aunt Sarah, dad, me, grandmother, mom, friends Pam and Bob Kirchman, Aunt Nana, Aunt Ellie and cousin Thomas, and friend Marilyn. Not pictured: my Aunt Helen and cousin Hope who had to leave early, friend Patricia who was able to make it at the last minute, friend Elise who couldn't make it, friends Joann and Heidi who came and left because they thought they missed us, and Bob and Sharon French who came right as we were leaving). 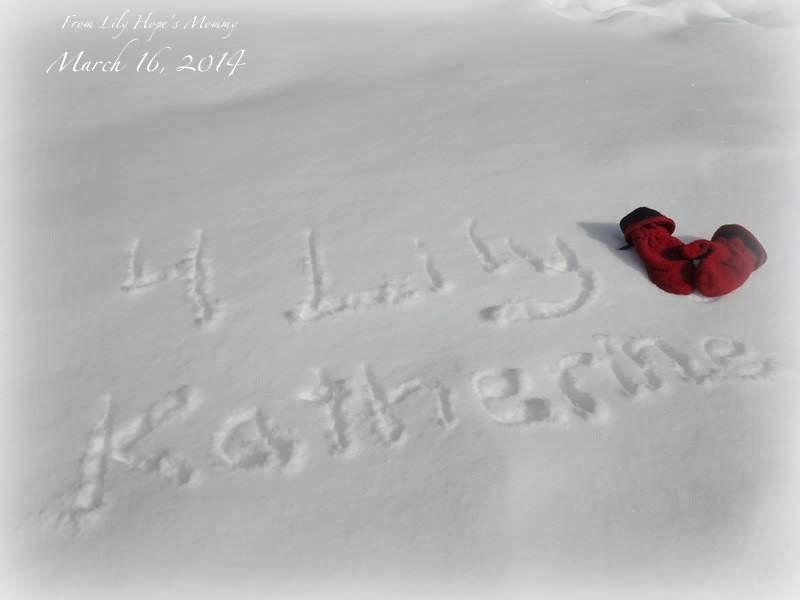 What happened was a winter storm (lots of snow) came through on Lily's birthday. We had originally planned on having the celebration at the cemetery at 4 p.m., but had to move it back to 2 p.m. because of the weather. I wanted to sing Lily "happy birthday" at her exact birth minute (4:24 p.m.), but it didn't work out. We were going to leave to go back to North Carolina on Monday (the 17th), but had to leave on Sunday (the 16th) instead because of weather. I was so thankful that the weather held off until we were wrapping up! If we had waited until the original planned time, we would have been rained/snowed out. But because we had to change the time, not everyone was able to make it. And things just got messed up. But I appreciate everyone who came, tried to come, or wanted to come! Here is Lily's spot up close all decorated with her flowers and cupcake. 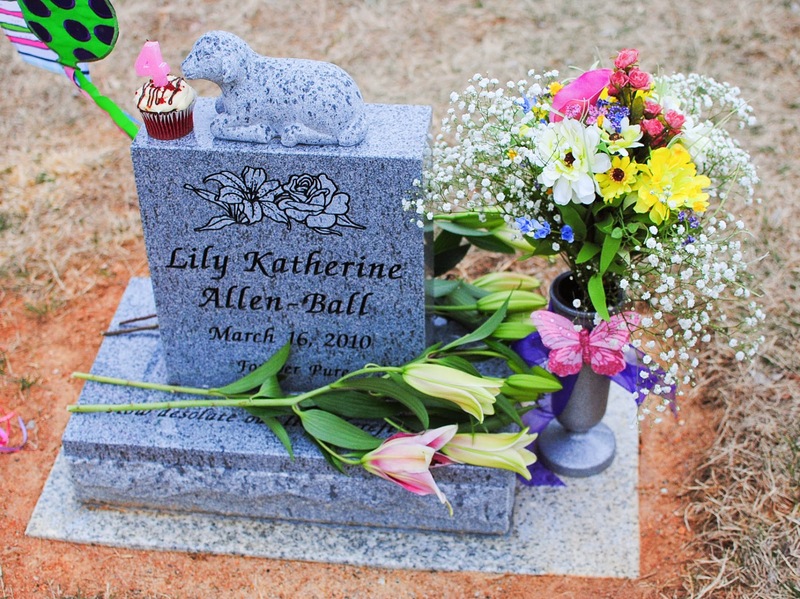 I am pretty sure her father left her those lilies laying on her stone because nobody else said they brought them. 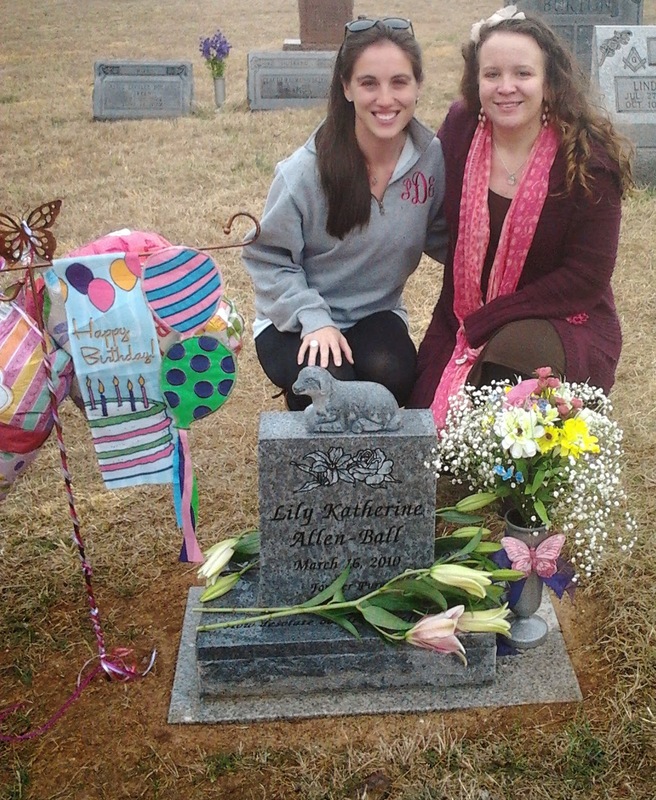 My mom, grandmother, and I at Lily's spot on her birthday. Four generations! This is my cousin Daniel's son, Owen, who was born three months before Lily. His son and my daughter would have been the best of buddies and cousins, just like Daniel and I were growing up, we are sure of it. Daniel is four months younger than me, so they are also boy and girl cousins and almost the same age apart! On Lily's 1st birthday, Daniel sent me a photo of Owen holding a "happy birthday Lily" sign. It meant so much to me and I thought how special it would be if Owen took a picture each year on Lily's birthday, wishing her a special day. She would be turning the same age as he is each year. How bittersweet it will be to watch him grow up, changing throughout the years, and to know my daughter will never get to grow up into a lovely lady. 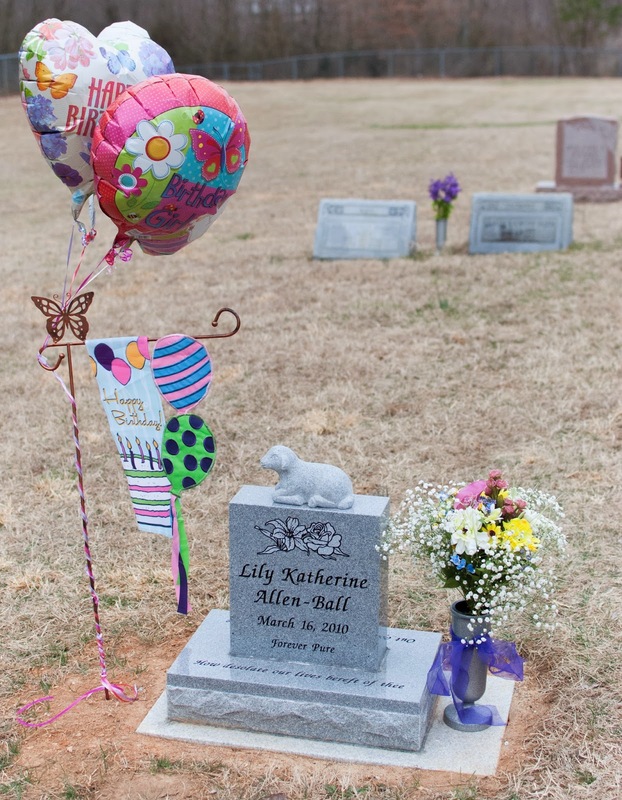 This is such a precious way to honor and remember Lily and to have them in a photo "together." 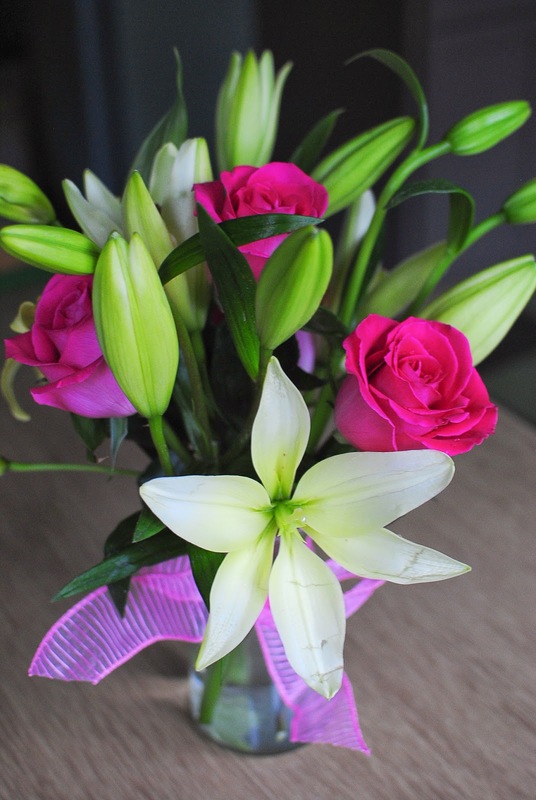 My sweet friend Patricia sent me gorgeous roses and lilies for Lily's birthday. They arrived on March 17th (St. Patrick's Day). It was a wonderful surprise on a very difficult day for me. March 17th was the day that I held Lily for the last time and left the hospital without her. St. Patrick's day will always remind me of her and what happened on that day in 2010. Thank you so much my dear friend for being so king and thoughtful and for remembering my girl with me always! Friends like you help ease the ache in my heart. This was the note that came with my flowers: "Hannah, the love and dedication you show towards Lily's life is truly inspiring! I am so honored to be your friend. ;) Love, "Patty"
My mom got me a new sculpture from The Midnight Orange for my growing collection in honor of Lily's birthday. 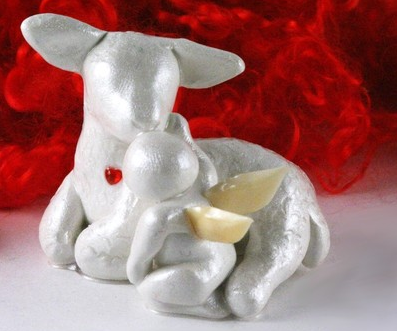 It is one I have wanted for quite some time - a lamb with a baby... perfect for my daughter of Heaven. My awesome brother surprised me on March 18th with a pizza delivery to my house! He lives in South Carolina and I live in North Carolina, so I was not expecting this. 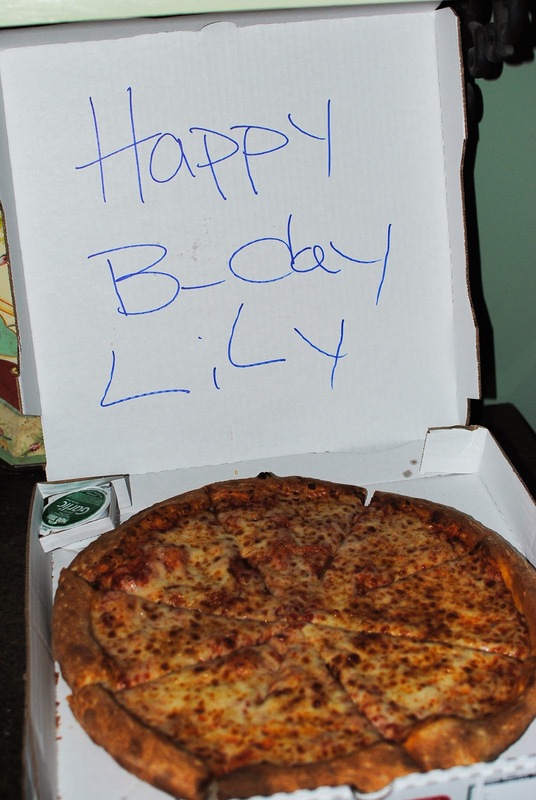 He even got them to write a special birthday message for Lily on the box. He ordered two cheese pizzas for my entire family from Papa Johns, which was perfect because this is what my mom and I got each week when we had pregnancy/birth classes at one of my local pregnancy centers while I was pregnant with Lily. We used to do the "beat the clock" deal. Ironically, we got that on Tuesday nights as well. 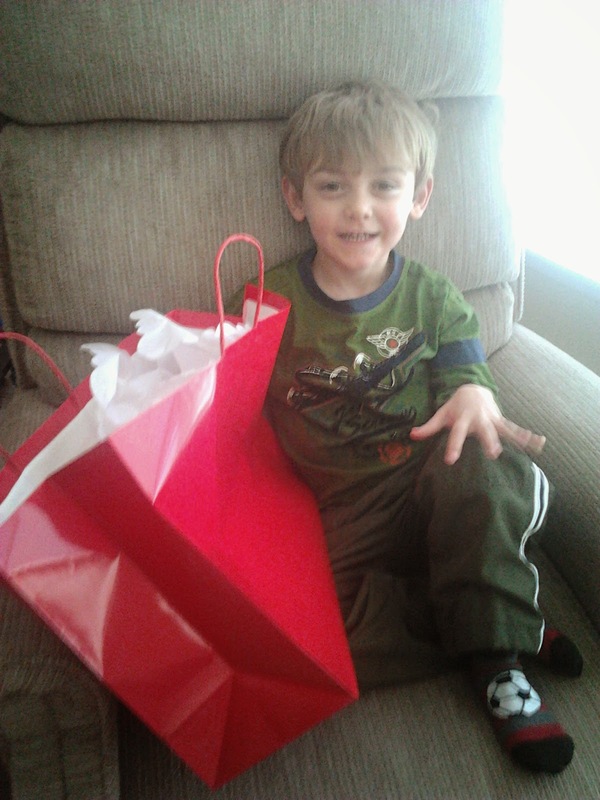 "The little fella's" (what I call him) mom gave me a precious gift for Lily's birthday. She knows that we share that special day (and year). 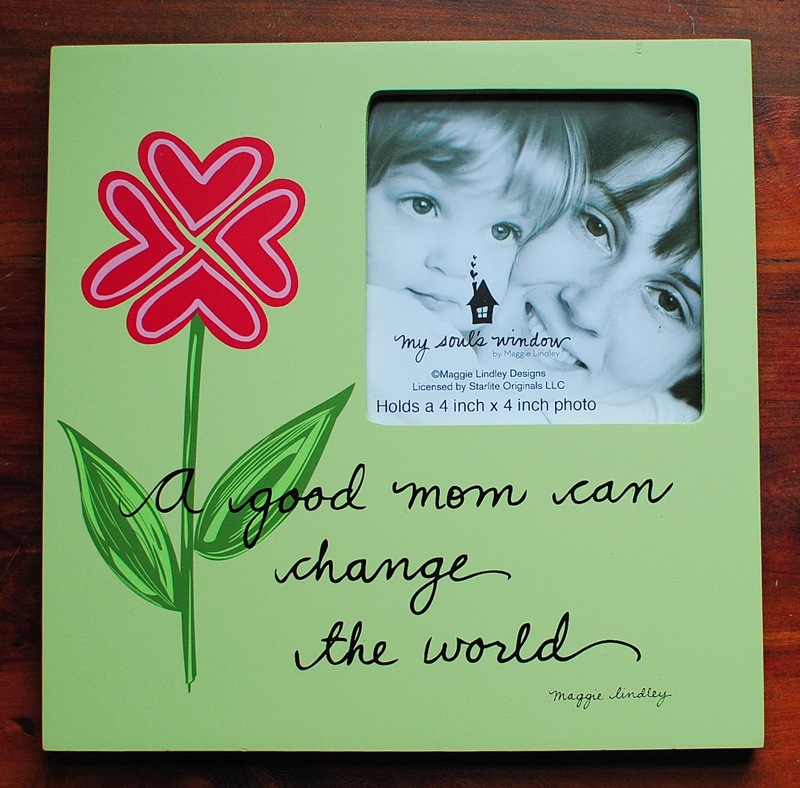 This picture frame is precious. It brought tears to my eyes when she gave it to me because I wasn't expecting anything and because it is so sweet what it says. The frame has a flower and the petals are hearts - both of which remind me of Lily! I haven't decided what photo I will put in it yet. Another tradition we have each year on Lily's birthday is to have a get-together with our neighbor and her two kids. Joanna's daughter Ashley shares a birthday with Lily! She just turned 11 on March 16. We have gotten close to them over the last couple years and couldn't believe that a little girl who lives just a couple houses down was also born on March 16. Each year, we celebrate our shared special day with a party. We have cake and give Ashley a gift in Lily's honor. This is something I look forward to each year. This is the chocolate cake we enjoyed. My mom and I brought it this year. My mom made it from scratch (it was a big hit!) And I decorated it. Okay, don't laugh at how awful it looks haha. 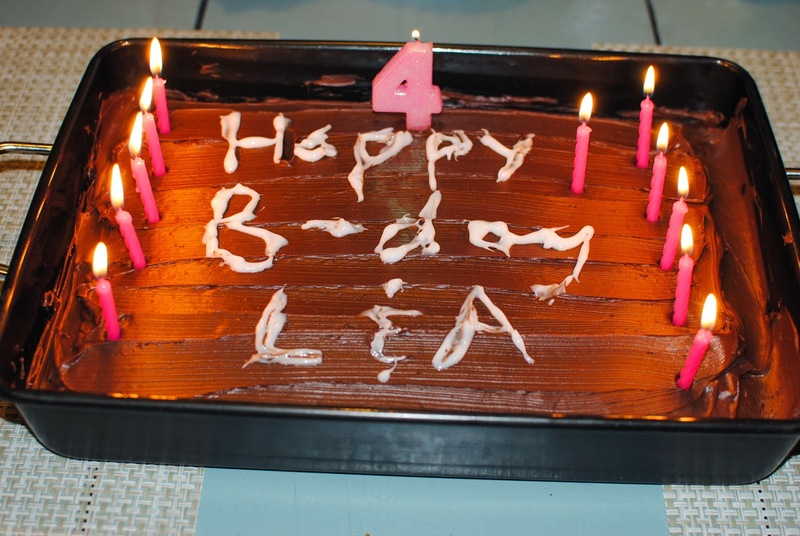 At least you can read it (it says Happy B-day L & A). There were eleven candles for Ashley and Lily's number "4" candle. We sang "happy birthday" and Ashley blew the candles out. This is the card my Aunt Helen gave me. Isn't it perfect? 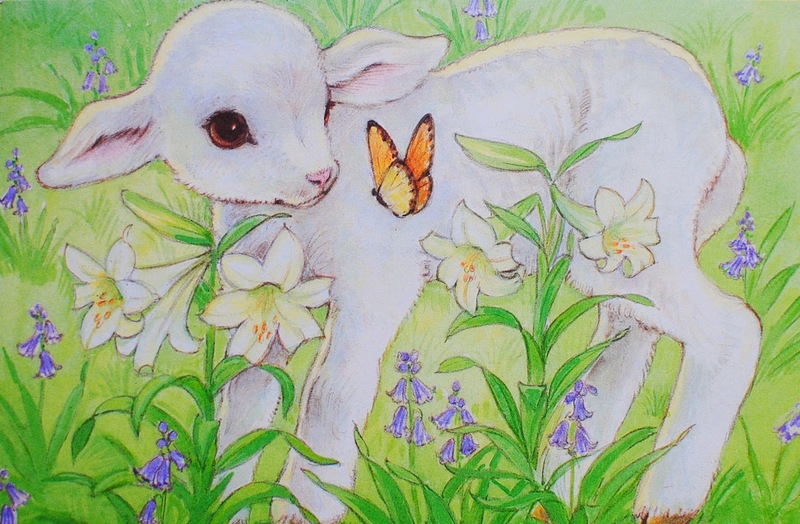 A precious lamb, lilies, and a butterfly... only thing it's missing is roses. Helen said she had this card for a while and when she found it recently, she thought of me. I like to believe Jesus had her save it for me for Lily's birthday. :) It is so adorable I want to frame it! These are most of the cards I received for Lily's birthday. I painted my grandmother's nails in the pink sparkly nail polish called "I Lily Love You" in honor of Lily. I had wanted to do both mine and my mom's nails as well, but didn't have time. 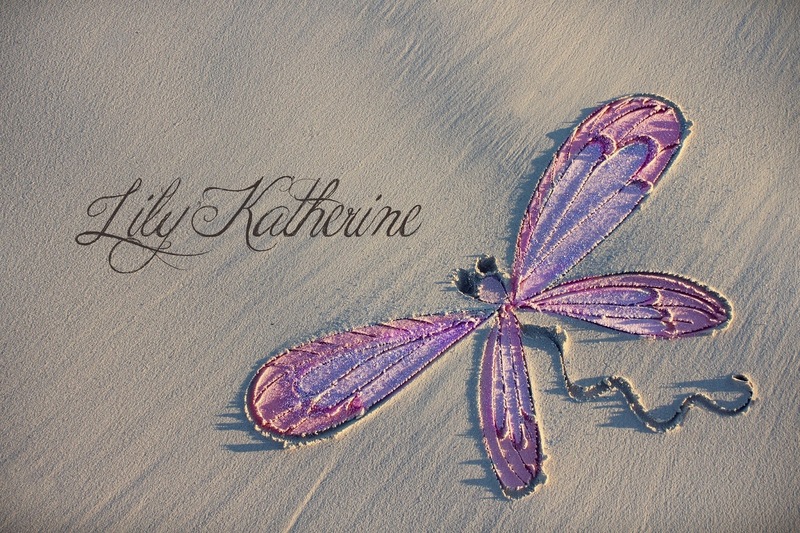 I gave my mom a framed photo of Lily's name in the sand in Australia from Carly Marie. My friend Morgan did something sweet for Lily's birthday. 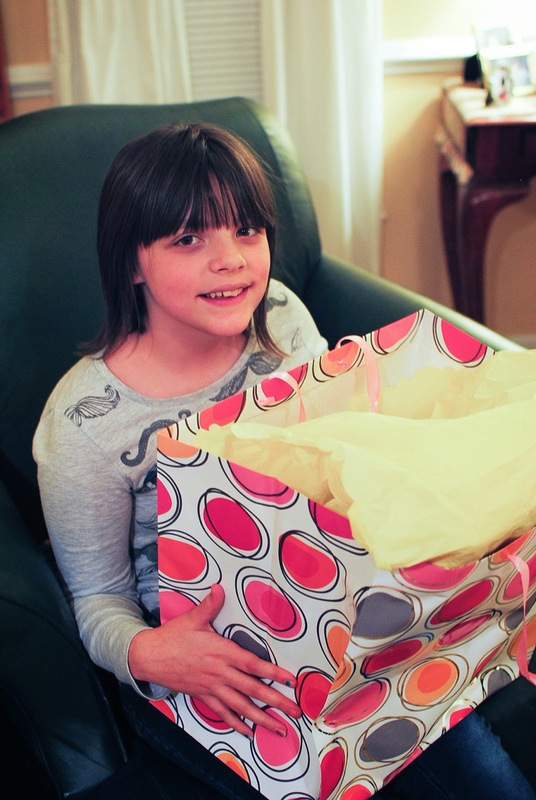 This is what she said: "Even though there wasn't anything formal behind it, I want to let you know I donated a "blessing bag" in honor of Lily today. Rebecca had a 31 party where you could donate a thermal tote to a mom in the NICU to transport her breastmilk. I donated two and one of those donations was with Lily in my heart. 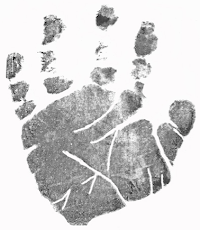 Missing her with you today and always!" I got a couple new butterflies for Lily's birthday from Carly Marie. 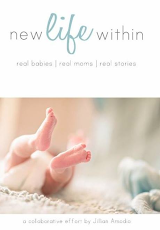 They arrived in my inbox on March 14th, the anniversary of Lily's due date. 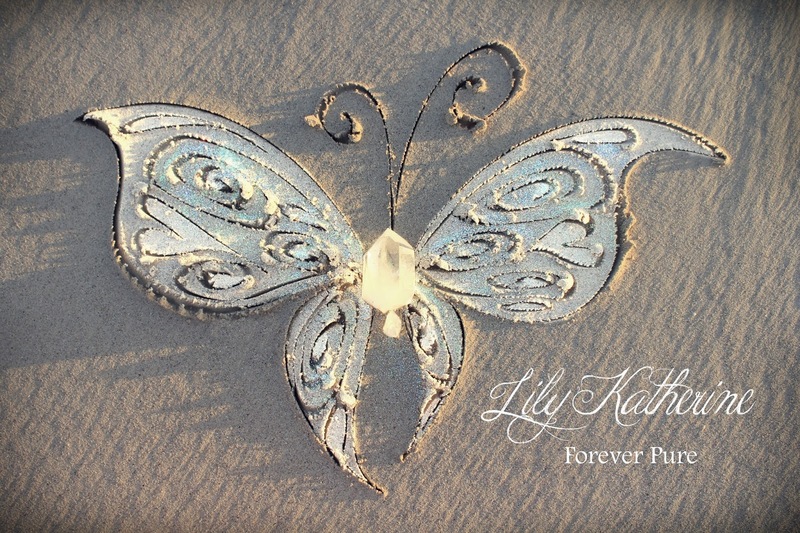 I chose white for purity because Lily Katherine's name means "pure and innocent." And I requested for "Forever Pure" to be written under Lily's name. It's the same phrase that is on her headstone under her name. I also got this pretty dragonfly. 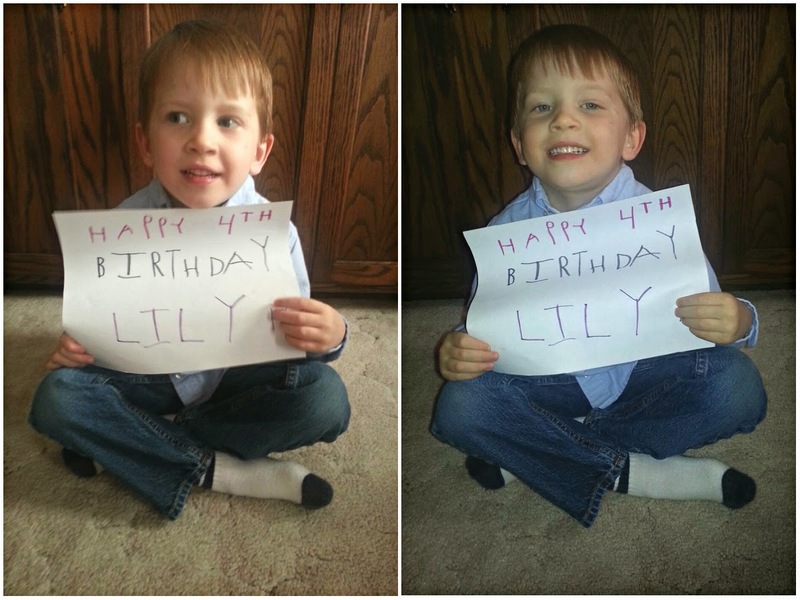 My sweet friend Naomi in Canada sent me the following two photos for Lily's birthday. -Read the post I shared on Lily's birthday this year HERE. -Read about Lily's 1st birthday HERE. -Read about Lily's 2nd birthday HERE. -Read about Lily's 3rd birthday HERE. 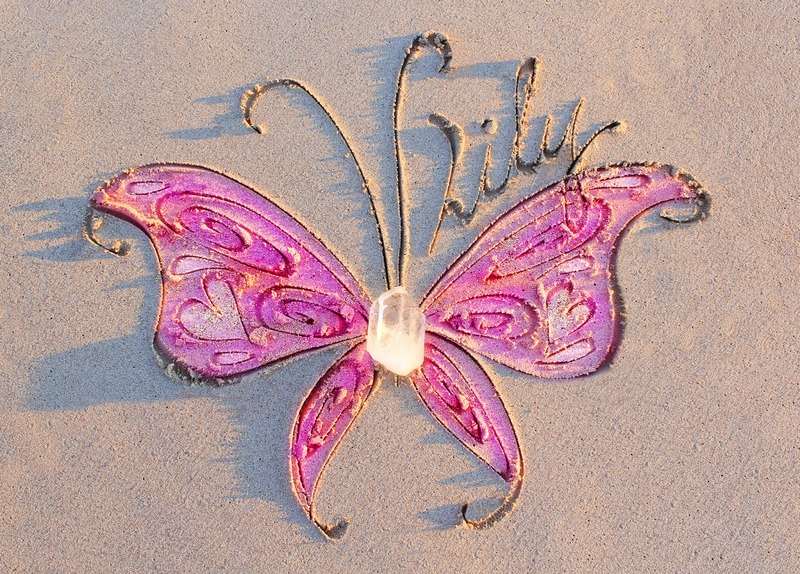 Thank you to everyone who has remembered and celebrated Lily with me this month! Whether you sent a text, message, email, card, or whatever else, I appreciate it more than you know! Blessings!